Spring and Summer are the ‘outer’ seasons balancing the ‘inner’ time of Winter. The spirit in us flows outwards into the world just as nature bursts into growth around us, plants pushing up through the soil, trees stretching, leaves and blooms rushing to open and receive the heavenly gift of sunlight. Spring is the time of expansion, it comes with a surge of growth that breaks through the surface soil of our lives, just as the seedling bursts from the darkness into the sunshine. April is the month of showers, shake ups and breakthroughs. We get to see who we are in the light of the Aries Sun and can use the April Full Moon (coming Easter weekend) to affirm the qualities we wish to embody, manifest and develop during this outer half of the year. The Winter journey of healing is over. We have had six months of journeying into the inner worlds as the spirit pulls nature, and us, back to the source. If we have a spiritual relationship with the source this time is generally easier to handle, as trusting the divine source within ourselves gives us the strength to face the dark parts within ourselves, so that healing may happen. If we resist the inner pull during the Winter we basically end up sick, the body taking the brunt of what we are not addressing on emotional and mental levels. It is now time to make our primary focus outward. We are almost two weeks into the Aries month. The shift from the cosmic water energy of Pisces to Aries Fire energy was sudden and noticeable, with Sun and Moon arriving in the sign of the Ram on the same day, plus the solar eclipse on March 20th heralding the turning point, highlighting the significance of this particular equinox: the last time there was a solar eclipse at the Equinox was in 1681, which was a period in European history, like today but with a different focus because humanity was at a different stage, when ENLIGHTENMENT was a key concept developing and growing in the western mind. At that time the enlightenment needed was related to reason, to rationalism. This time it relates to the need to unite reason and intuition, the left and right sides of the brain, the masculine and feminine within ourselves. Aries brings the energy of Self, as we wake up from the winter energies. The winter signs Capricorn, Aquarius and Pisces are energies related to the collective consciousness and they carry us all, to varying degrees, into that collective spirit. We can feel ourselves part of the whole during these months very easily if we choose to. 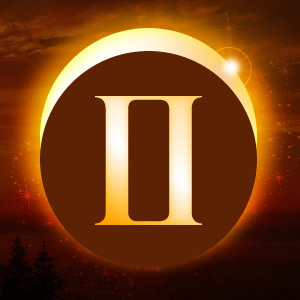 Capricorn energies are about making the foundations of our collective life solid and strong. In Aquarius we can access understanding of the unity of consciousness and find ways to create a better life on earth. During Pisces we meet and discover the collective spirit through feeling, intuition and compassion. Then Aries the Ram arrives and this merged spirit of winter slips away fast, we wake up to ourselves and feel the need to take action. But steps should be taken slowly and carefully… the first two weeks of Aries bring a child energy, we are waking up to the Spring but just like plants when we first stick our head out of the soil we are tender and fragile. It’s wise to honour the youthful part within ourselves and take small steps forward. April arrives and the pace will pick up gradually. The full moon on 4th April gives us the chance to celebrate who we are becoming, to make affirmations – Sun in Aries and full moon in Libra gives us the chance to define who we are in relation to the other, be that other our love partner, our community, or source. We all have a primary relationship of some sort, focussed externally on another person, or found internally with the Self. Full moons light up all the emotions flowing around us, the fire – air combination of Aries and Libra can bring combustion, but will ideally bring a joyful airflow from our healed and happy inner moon worlds, from which the strength and love we receive from all our relationships will flow to embolden and empower whatever our active expressive outer sun selves are getting up to. It’s a time of change and transformation so there will indeed be sadness… there may be anger…in the brew, and these need to be honoured. They need not block the flow of joy, in fact once they have found acknowledgement and expression much more joy will be able to come forth. April Fool’s Day might be seen as a time to honour the Fool archetype from the Tarot. 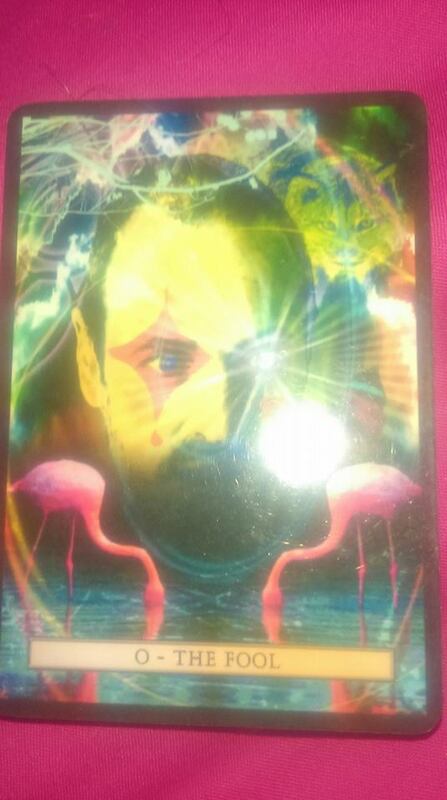 The Fool is Card 0, he is where all things start – by stepping with joyful heart and positive intention into the unknown, embracing new adventures and being open to what might come. The past is gone, and whatever hold it might still have over us can best be addressed next Winter – or possibly at dark moon time during the spring-summer months if we find its grip is still hampering our way. We have had 12 days of Aries energy, and we are at the point of the year where we are somehow like 12 year olds facing new realities, perspectives and knowledge about ourselves. At 12 we become more individuated, our separation from the womb consciousness, the collective consciousness, complete. It’s not such a dramatic shift from the inner to the outer after all, from winter to spring, from collective to individual. Once born into the world it takes some years before we really experience and know ourselves as individuals. Similarly it takes until April for the coats and skins and membranes of the winter spirit to completely slip off. April 1st is a perfect day to self-define, to see the path ahead, to offer prayers for guidance, safety and joy on that path, to affirm our intent to engage the outward flowing time with positive thought, love and compassion, for ourselves and all others.